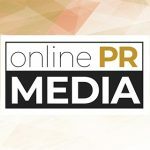 Online PR News – 25-January-2015 – London, Las Vegas, Sydney, Singapore, Florida, Orlando, Thailand and more – Tripmart.com is giving you a chance to book your desirable hotel in any part of the world at half price. Enjoy the luxury of 5 star and 4 star hotels at the lowest price. With over 465, 780 hotels in 23, 876 cities, you are guaranteed to find the right hotel to suite your purpose of travel. We hate to see you missing out on great offer so book now and secure your place.